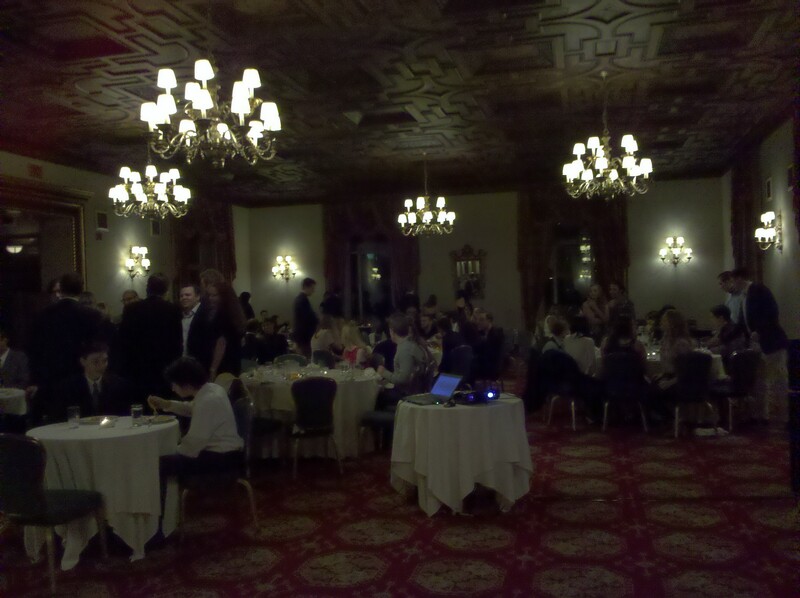 Screening at NYAC a success! It was a wonderful Friday night at NYAC. After our women’s epee practice, everyone appeared on the 9th Floor of the New York Athletic Club for our annual Season Kick-off Party and pasta dinner. Michael Aufrichtig, our chairman, presented a wonderful slideshow highlighting the club’s achievements and fun photos. And to start the presentation, Speed of Fencing was shown to an all-fencer audience for the first time! I have to say, I was pretty nervous about what my peers were going to think of this fencing film. Fencers (myself included) are known to be picky about how their sport is represented in movies, commercials, and theater. We know how the actions are SUPPOSED to look, but most times the director chooses a more theatrical way to show fencing. I’m very excited for my NYAC teammates and NY fencing friends to see Speed of Fencing tomorrow night. Michael Aufrichtig, our wonderful Chairman and the new fencing head coach at Columbia University, is running the festivities of our NYAC Season Kick-off party and has been a very supportive in the life of this film. Thanks Michael! So if you’re lucky enough to be attending, I hope you enjoy it and will see it again! Wow, everyone! There are over 8,000 views of the long version for Speed of Fencing! That’s pretty amazing. I’ve been receiving a lot of positive feedback since the fencing.net post and the creation of the facebook page. Further motivation to get the film out there! Next step, compiling my list of film festivals to apply to. The Donate page is finally working so now you can help get this project onto the big, festival screen! As I begin the process of getting Speed of Fencing into the world, you can follow my progress and help support my fencing film.